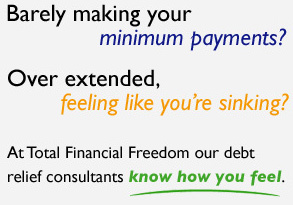 Total Financial Freedom was founded to give over extended consumers a viable option to obtain a debt free life. Our primary goal is to light the pathway to financial independence for all of our clients. The method employed by Total Financial Freedom will enable consumers to avoid bankruptcy, rapidly accomplish a debt free life, and improve their long-term financial well being. Upon completing the program, clients discover that they have greater financial opportunities due to a dramatic increase in their monthly cash flow. Often many look to purchase their first home, or secure a more robust retirement portfolio. 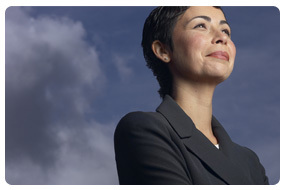 Our firm operates differently than others in this industry. 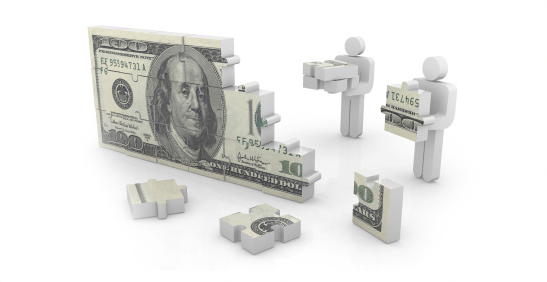 We operate on a case-by-case basis to sculpt each program to the applicant’s specific financial situation. Eligibility is determined based on years of industry experience. We do not charge all upfront fees as other companies, and are independently owned and operated. Our unique approach insures that we are working exclusively for you and together we share a vested stake with your financial success every step along the way. Hear directly from our clients on how Total Financial Freedom has helped. Read case studies from actual clients that we have worked with. Copyright ©2019 Total Financial Freedom. All rights reserved.